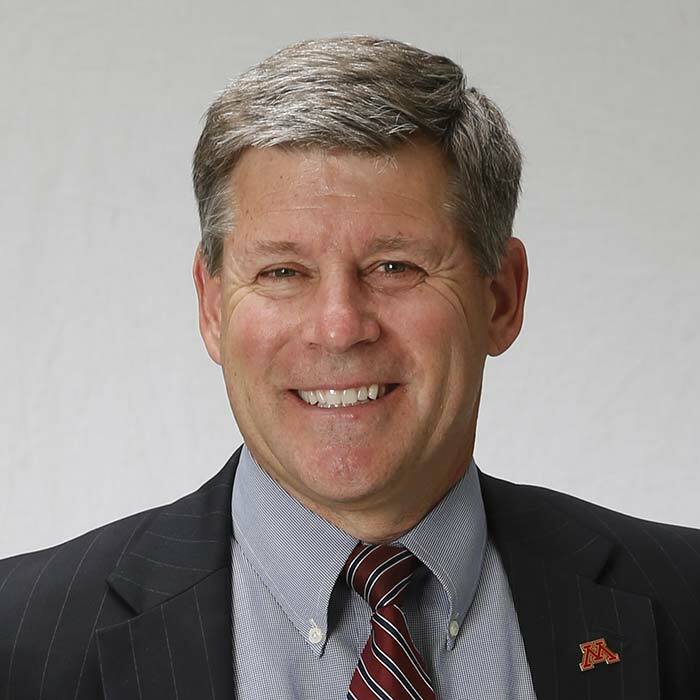 "I hope that my efforts combined with many others will make a positive difference in providing a wonderful experience for our student-athletes and coaches at the U of M."
Prior to coming to Minnesota 8 years ago, Randy has led a successful career leading fundraising efforts at other Division I universities, worked as a financial broker in the private sector, was a college baseball and basketball coach, and has taught and coached at the high school level. Randy was instrumental in leading fundraising efforts for the Seibert Field campaign and was a leader in starting and securing numerous lead commitments for the Nothing Short of Greatness Campaign. Randy earned his undergraduate degree from UW- La Crosse, a Master's Degree from Colorado State University, and a Doctorate from UW- Madison.